As a mum, I know you've got a million things on your plate right? So, it's no wonder that when you've called out to your kids 35 times to get dressed and ready for school, only to come out and find them still in their pj's, breakfast half eaten that you snap and end up yelling and screaming. But then you see the look on their faces and you spend the rest of the day feeling guilty for losing it (again). What if you could get your kids to do what you're asking WITHOUT having to turn into a CRAZY screaming mum? 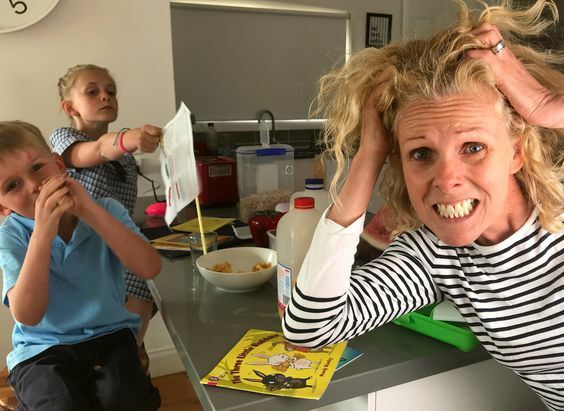 If you want to learn how with my 5 quick ways to keep cool when the kids are driving you crazy, without having to yell download my free guide here. Your '5 ways to keep your cool' has been sent to your email. Don't forget to check your junk mail in case it has been sent there. I'd like to receive the free downloadable PDF. You'll be added to receive regular updates but you can unsubscribe at any time. © Copyright 2019 Narelle (Simply Happy). All rights reserved.